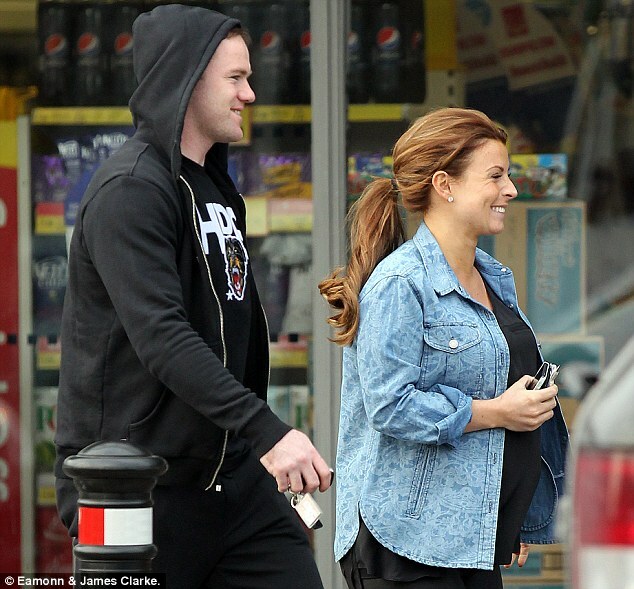 The pictures below shows Manchester United striker, Wayne Rooney spotted with his pregnant wife Coleen withdrawing funds from the cash machine outside Tesco in Wilmslow. Rooney is hardly short of money when he picks up £250,000 every week at Manchester United. With his financial future assured, the striker has no worries about paying his bills at the end of each month. But even the England international need to get his hands on cash as seen in the pictures. One wonders why would a super star as him will queue at an ATM just to get cash.